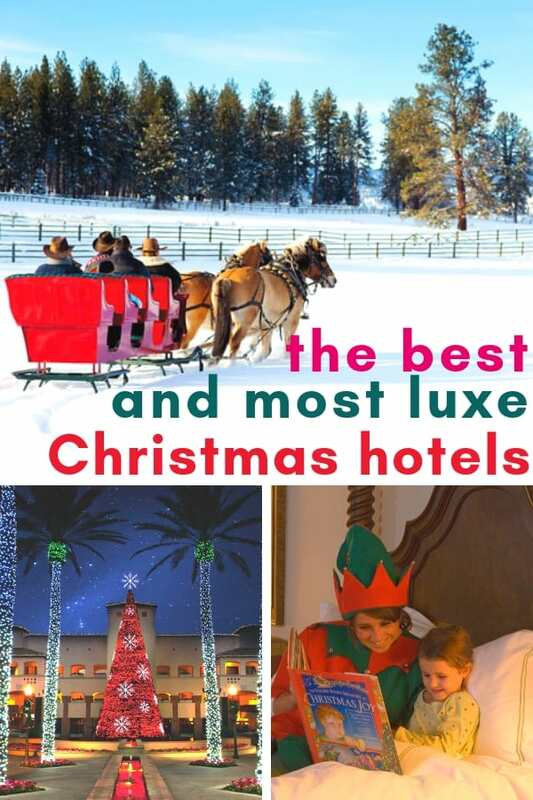 Enjoy our own list to Santa of the best Christmas hotels where we want to spend the holidays. We’ve been really, really good. What about you? New York, Chicago, and London are leading destinations for the holidays for shows, shopping, restaurants, and museums for families. So much show that we have a complete guide just on New York‘s and London’s holiday activities for families. The Carlyle (check your dates & rates) has long been one of my favorite hotels at Christmas long before Sofia Coppola’s Netflix special starring Bill Murray (which felt like a present in itself!) The Carlyle offers a holiday morning tea on December weekends with special guest Madeline in Bemelmans Bar, whose walls are adorned with girls in two straight lines. Carlyle suites feel so residential to begin with, it is truly one of the most home-like ways to spend Christmas at a hotel, especially when guest’s beds are often made with monogrammed pillow cases. The Langham Place Fifth Avenue (check your dates & rates) is well located for holiday shopping and window gawking down Fifth Avenue as well as the holiday skating rink and seasonal market at Bryant Park. Families staying at the hotel have easy access to the Empire State Building next door to view one of the country’s best light shows year round as well as the Grand Central holiday light show on the terminal’s ceiling. The best perks of all are the generous size of the wood-paneled family suites and the Langham’s service. The 41st-floor penthouse transforms into a holiday attraction at the Swissôtel Chicago (check your dates & rates) . The Swissôtel Chicago Santa Suite opens December 3rd where the five-room penthouse becomes a holiday showcase with tours, treats, and activities led by elves. Swissôtel Chicago has produced an original tale brought to life in the lobby before heading to the penthouse. Clara’s Bear Isn’t Scared is a magical toy adventure that follows its main character from the North Pole to the Santa Suite. Guests who post or tweet a photo of their Santa Suite visit using the hashtag #SwissSantaSuite will be entered to win a number of prizes, including a one-night stay. The Swissôtel Chicago Santa Suite has a varying schedule, and you should contact the hotel for more information. Santa shows up for photos on December 12th and 19th. Everything is bigger in Texas. The Gaylord Texan in Grapevine near Dallas transforms their giant atrium into the ICE spectacular every winter. Guests by tickets to this event which includes a parka to wear. Temperatures are kept freezing to maintain the giant ice sculpture. Oh, and you can snow tube inside as well. The perk of this Christmas hotel is its proximity to a massive indoor outlet mall, so it’s perfect for a stay to shop for those on your list or a great way to celebrate the post-Christmas sales. 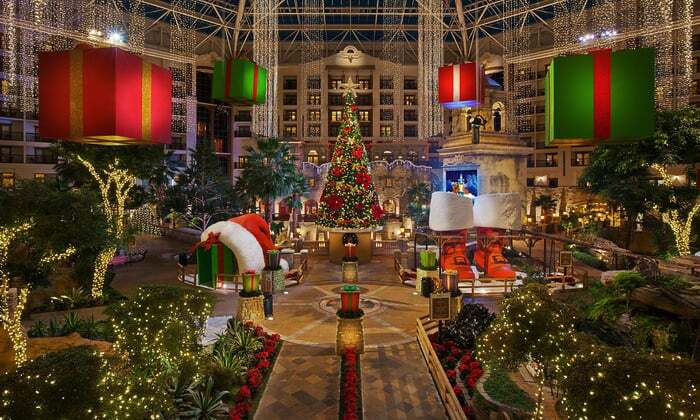 The Gaylord Texan puts on a Texan sized holiday spectacular for the whole season. Florida, California, Hawaii, South Carolina, and Georgia offer palm tree holidays of every style. For those seeking holiday serenity and a spa break in the most elegant surroundings, head to The Breakers in Palm Beach (check your dates & rates) where the stunning holiday décor is capable of appealing even to those who don’t celebrate Christmas. Two 18-feet high Christmas trees create a true wow factor with more than 25,000 lights under the frescoed ceilings of the historic building. Spa fans take note that the Breakers Spa has a massive newly renovated spa that is beyond dreamy. The Montage Laguna Beach and Montage Beverly Hills, both “Legend” properties with Preferred Hotels with exceptional family amenities and children’s programs, will create perfect vacations in Southern California. Both properties offer the Montage Paintbox program where children will create a variety of holiday gifts and decorations, and both properties will offer Santa Claus tuck-ins with milk and cookies and a bedtime story. The Montague Beverly Hills (check your dates & rates) will prepare an elegant holiday meal and offer your children a cooking class with the hotel’s executive chef team to prep your kids to cook the holiday meal by 2035. Younger guests can also join Chef Patrice Martineau and Pastry Chef Julie Jangali for a hands-on opportunity in a baking classes beginning Saturday, Nov. 7 and also available Nov. 21, Dec. 5 and Dec. 19. The Montage Laguna Beach (check your dates & rates) offers a gift service where their own elves can select, purchase, and wrap your family’s presents so you can spend your days walking on the beach or lounging by the pool. Both properties can deliver personalized stockings to the hotel room for every family member. Who wouldn’t love to stroll the best boutiques in historic Charleston’s mild winters? The Belmond Charleston Place (check your dates for rates) is in the heart of the city’s best shopping and restaurants, nothing is more than a pedicab away. The Belmond Charleston Place has incredibly generous suites for families, and a club level lounge for snacking all day. The hotel’s magnificent lobby staircase is paired with a massive train for the holidays set paying hommage to Belmond’s luxury train travel through Europe. The hotel’s family friendly but luxurious restaurants will do all of the cooking. Yes, please! Sea Island on the Georgia Coast tends to go all out with everything they do. 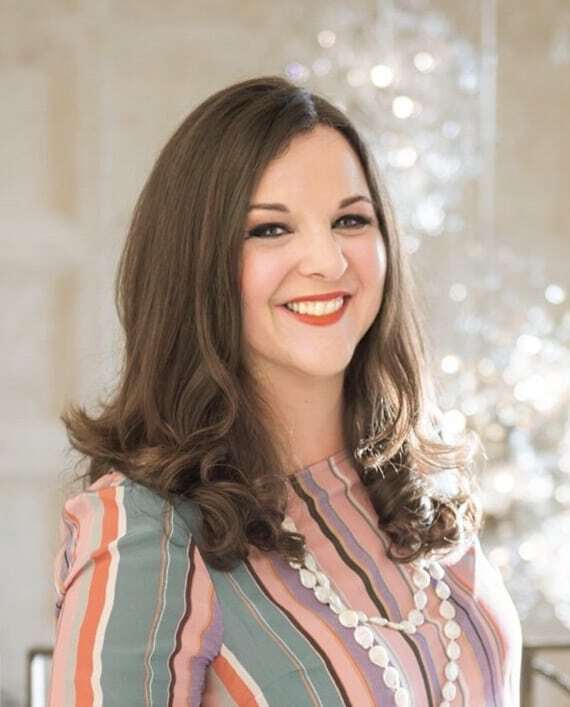 Our stay at the Cloister (check your dates & rates) showed how well this resort blends formal with fun for the Lily Pulitzer donning crowds from Atlanta and Texas. Every year, they launch a new holiday theme, Alice in Wonderland and How the Grinch Stole Christmas have been recent themes. Camp Cloister offers theme inspired classes for holiday ornaments, building gingerbread houses, cookie baking, and hat making alongside their nature curriculum. Special family events include a Reindog Parade and a Children’s Christmas Party on Christmas Eve in the resort ballroom with entertainment, crafts, and a visits from special guests, Mr. And Mrs. Clause, and a cast of elves. To celebrate the holidays Hawaiian style, it’s hard to beat the family activities at the Disney’s Aulani resort on Oahu. No one is surprised to learn how many family activities there are at Aulani. (Read our full review). Families can swim or paddle board in the ocean, snorkel, plunge down waterslides or meander in lazy rivers. Aulani offers guests not only an extensive list of family activties, but also one of the most authentic Hawaiian immersions in culture and history. But Aulani offers extensive cultural and creative programming from ukulele and hula, to photography and painting classes. During the holidays, Santa appears as well as some well known Disney friends. 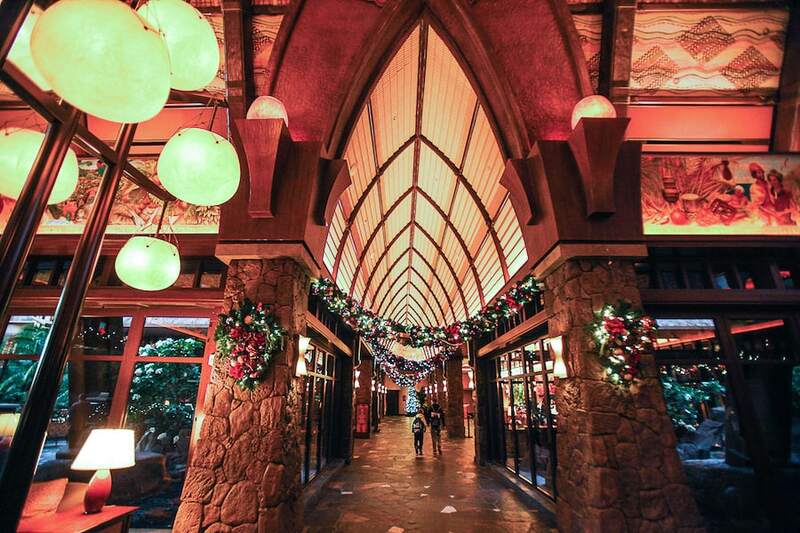 Although we love holiday decorations, the art collection at Aulani is the largest contemporary Hawaiian art collection in the world and is worth a close look. The East Coast Mountains offer prestigious, historic hotels while the Rockies offer the country’s leading ski slopes and glamping. For an old-fashioned Christmas at America’s historic mountain resorts, Omni has your holiday planned along the Appalachian Trail with its red-roofed hotels. In New Hampshire, the Omni Mount Washington (check your dates & rates) offers sleigh rides, snowshoeing, skiing, and an Elf tuck-in at night, and breakfast with Santa and tea with Mrs. Claus. 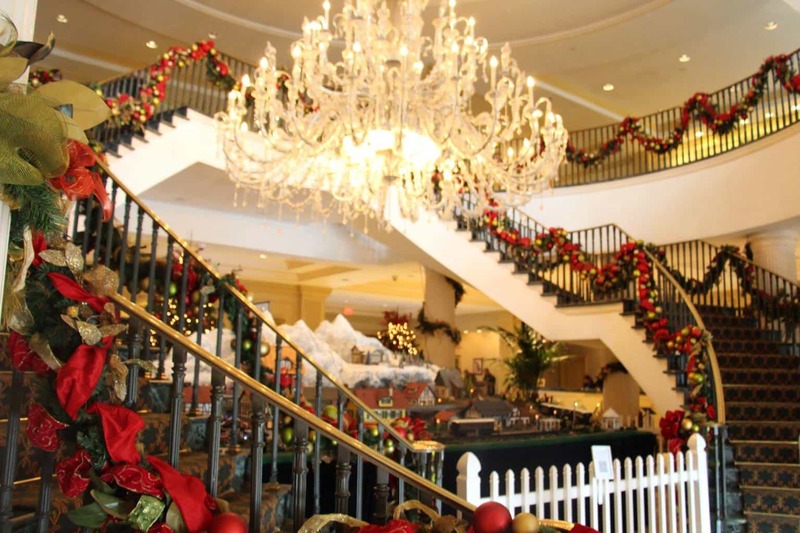 Further south in Pennsylvania, the Omni Bedford Springs (check your dates & rates) is a Nutcracker winter wonderland, with more than 600 displayed from the world’s largest collection, with some over five feet tall. Nutcracker-themed teas and cooking classes for families complete the holiday theme along with meals with Mr. and Mrs. Claus. In Asheville, North Carolina, the Omni Grove Park Inn hosts the largest gingerbread house competition in the country, on display from November 18th through January 3rd, 2016. The competition is a fundraiser for local charities and has raised more than $125,000 to date from its parking fees. Glad to know one inflated hotel fee is going to good causes. Now, what about those pesky Wi-Fi fees? The Resort at Paws Up (check your dates & rates) offers a luxury ranch or glamping vacation in Montana, but for Christmas, their goal is to bring a Winter Wonderland to life. Each family’s accommodation, a stand alone cabin, is given a Christmas tree, holiday movies, and a visit from Santa Claus with presents for the kids. Cross-country skiing, snowmobiling and tubing, horse-drawn sleigh, ice-skating, dogsledding provide the fun. Their all-inclusive Christmas package includes a traditional feast, all other meals and your family’s own personal Santa whom I assume is a trained psychotherapist ready to keep the peace between siblings young and old. To experience a more formal mountain resort designed for Christmas, head to the Greenbrier (check your dates & rates) a few hours from Washington DC in West Virginia. Those who await the MacKenzie-Childs catalog must go on a sacred design pilgrimage to see Dorothy Draper’s timeless masterpiece of black, white, red, pink, and green. The holiday events culminate at the Gingerbread Ball on Christmas Eve. Family buffets, live music for dancing by the Sugar Plums Quartet, caricaturists, strolling puppets, Nutcracker Ballerinas, balloon artists and Mr. and Mrs. Claus celebrate with you. The ski village of Aspen celebrates the holidays with a 12-day program and the best base to enjoy it all is the St. Regis Aspen (check your dates & rates) whose tree lighting becomes a festive community event on December 19th. The hotel pastry chef creates a gingerbread replica of the St. Regis (this year built to look like an ice castle) on display and children learn about gingerbread house design from the St. Regis Pastry Chef. On Christmas Eve guests gather for a special reading for the holiday classic ‘Twas The Night Before Christmas by Santa Claus, who, after the reading, greets children and poses for photos. Other festive activities leading up to Christmas include cookie, stocking, and ornament decorating, as well as carriage rides through the snowy streets of Aspen with Santa Claus. Morning teddy bear story hours at the Aspen Historical Society and skiing and snowboarding instruction can fill your days with family fun. 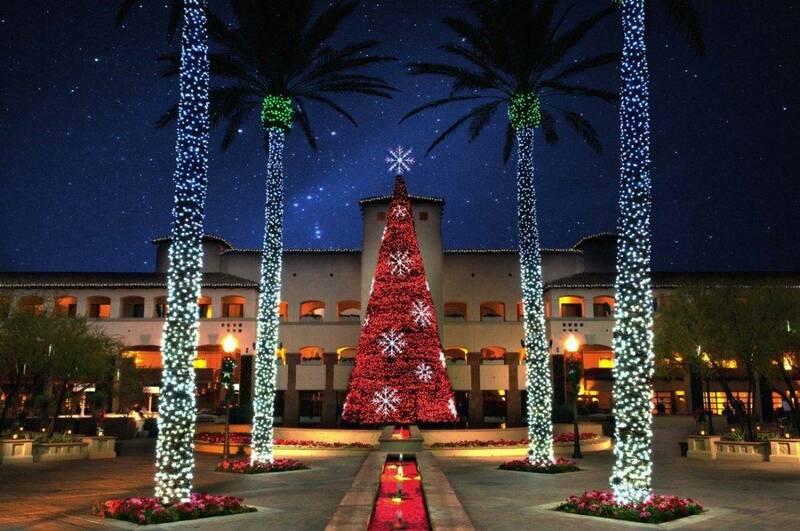 One of the most ambitious Christmas programs is the Princess Festival at the Fairmont Scottsdale Princess, (check your dates & rates) where a desert resort transforms into a six-week winter wonderland with an ice-skating rink, petting zoo, magic snowfalls, and a Selfie Elfie determined to photobomb your family photos. The Princess Express Train offers rides through a lagoon decorated with millions of lights, 14-foot poinsettias, swans, a candy cane forest, and of course, a 30-foot Loch Ness Monster. Yes, Please. Scottish Highlands, the North Pole, it’s all good. If that weren’t enough, there will be a S’mores Land and a Christmas carousel every night along with an 88-foot narrated light and music Nativity show. Given the Fairmont Scottsdale Princess becomes a popular holiday destination for locals too, resort guests should think ahead and book dining reservations for all key holiday meals in advance. Many families head to Disney World for Christmas. Too many. The decorations are magical, but the crowds, to me, are not. We love visiting in the middle of December when things are relatively quiet and can attend one of the last Very Mickey Christmas Parties with reduced crowds. 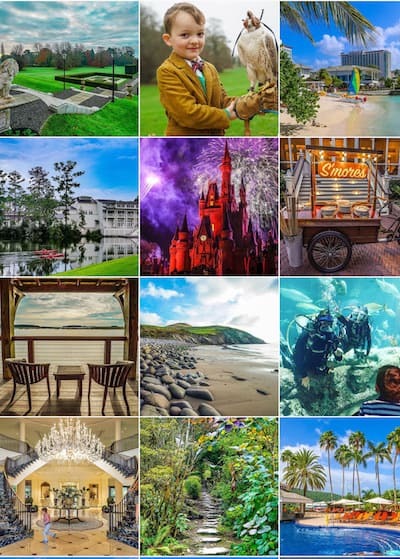 We would never even consider visiting during the holidays without booking a VIP guide, and we explain everything you need to know about the Disney guides and private companies. Disney’s newest accommodations are also currently there most luxurious. The Cabins at Copper Creek are standalone and unique accommodations at Disney’s Wilderness Lodge. The Wilderness Lodge has long been a favorite Disney resort for a true Christmas feel. The theme of the Pacific Northwest and America’s great National Park lodges makes you think of evergreen Christmas trees anyway. Guests lounge around the lobby’s giant stone fireplace with warm beverages. The Copper Creek Cabins sleep eight and offer a cathedral ceiling living room, kitchen, and dining area. A screened-in, wraparound porch separates you from Bay Lake. And no matter how cold Orlando might get during the holidays, families have the option to get in their private hot tub on their deck while watching fireworks. Additional family can book studios and guest rooms in the main lodge and use the cabin as the convening space. Guest can order decorated Christmas trees through Disney’s floral and gifts. And those staying through New Year’s Eve are a short boat ride away to the Contemporary Resort which hosts a large family countdown event in it’s ballroom. For Disney-bound luxury travelers who prefer non-polyester bedding, the Four Seasons Orlando at Walt Disney World (check your dates & rates) is hard to beat at Christmas. The free kids program, Kids For All Seasons, offers a variety of holiday-themed activities, movies, and story time. The fun isn’t limited to the younger guests; mixology classes, wine mixers, and cooking classes round out the holiday plan for adults. Ice cream is serious business here, with two different ice cream shops stocked with holiday flavors like crushed candy cane. Both of the main restaurants, Capa and Ravello, will offer holiday fare, but the star of the resort is the massive multi-pool and waterslide area, Explorer’s Island, designed with many private nooks to make it serene and exclusive, regardless of the hotel’s occupancy. The top floor suites can be combined for a master 9-bedroom family complex complete with butler service. Your suite butler can wrap presents, decorate for the holidays, and arrange for hot cocoa service after every dip in the pool. If Santa offered you one of these choices, which would you pick? Tell us in the comments! All photographs courtesy of their hotels or taken by the author. Disney's Grand Floridian: Club Level or DVC Villas, Which is Better? It’s true that room service is one of life’s greatest pleasures. Thanks for the article love! What a comprehensive list! We don’t celebrate Christmas but I love traveling during this time to see all the incredible decor and lights! Same with me Elena, I am a sucker for anything lit with lots of white lights! Wow!!! What an amazing list. I learned so much. I will definitely make it to the Montage to check out their lights in Laguna now and I’m bummed bc we are at Grand Wailea during Thanksgiving and not Christmas- I want to see Santa in a canoe 🙁 Someday!! I am sure there are some good things that will go live by Thanksgiving. Have an incredbile time!! Amazing post Robin!!!! I want to go to the hotel in Scottsdale and check it out. We’re due to head there next week. Too early for Christmas? Have an incredible time! I bet some of it may start up by Thanksgiving. Scottsdale was super amazing. Loved the resort stayed for 3 days in 2017 with my husband, our 13yr old son and 25yr old daughter and it was magical for all of us had plenty of things to do also for the younger kids also. I confess I really have my eye on the Greenbriar and the Omni properties, too! We are also eager to try the St. Regis Aspen. It has a wonderful family ski school, too! I *love* all these hotels and they all offer something truly special for families. If I had to choose, however, I think that the Omni Mount Washington might have to take first place. Sleigh rides, snowshoeing and breakfast with the Claus’ sound hard to beat! I agree that it has been on my list ever since we stayed there to return at the holidays! Wow! How to pick a favorite? I do have to say the Omni Mount Washington looks wonderful!!! We’ve loved the Omni Mount Washington for it spectacular location and views. We have yet to experience its beauty at Christmas though. If not at the holidays, when? Great choices, Brenda! I am sure you have been a very good girl this year!